Engine J-530 has an origin I am unfamiliar with. This car is on chassis 2405, which originally had a very cool Rollston Town Car body on it. This incredible Walker-LaGrande Convertible Coupe body was originally on chassis 2563. The bell housing is from engine J-515, the engine that was originally with this body on 2563. So at some point in time, the Rollston Town Car body disappeared and this body was separated from its original chassis. The body and bell housing came with it and was put on chassis 2405. Engine J-530 was brought in to get the thing running. And remember: this is the supercharged 320 horsepower version. The Walker-LaGrande body is one of three like it built and the only one with a supercharger on it. It’s actually one of only seven bodies built for Duesenbergs by Walker-LaGrande in total. This car was delivered new to a banker in Chicago before going through the hands of several well-known collectors. Among Model Js, this is one of the big ones. It should sell for between $3,500,000-$5,000,000. Click here for more info and here for more from this sale. 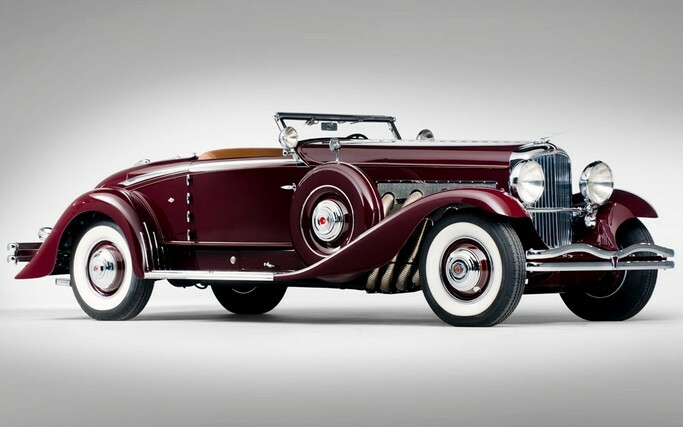 This entry was posted in Uncategorized and tagged 1935, auctons, cars, classic cars, convertible coupe, duesenberg, j-530, model J, model sj, rm auctions, walker lagrande by ClassicCarWeekly. Bookmark the permalink. That information is inaccurate. The original engine was (and still is) J530. Only the bell housing, with engine #J515 stamped on it, was changed. This was probably done some time in the early 1950’s. The chassis 2563 original to the car was apparently damaged in an accident some time in the 1940’s and chassis 2407 was used as a replacement. Coolio. That would make more sense than a mystery appearance of J530. I’m gonna go ahead and blame a confusing lot description from the auction house. Thanks for the heads up.